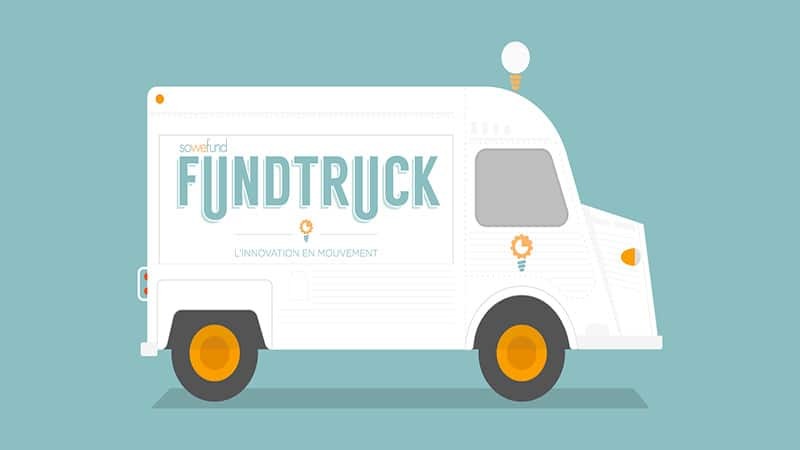 For the fourth year in a row, the Fundtruck is making its way across France to find the next big thing in terms of entrepreneurship and has officially made its fifth stop in Lyon. After a few detours by Bordeaux, Amiens, Valenciennes and Lille, the Fundtruck stopped in Lyon on September 12th 2018 to check out the city’s future innovators, with the help of Lyon French Tech. This contest is organized by the crowdfunding platform Sowefund, which sends a minivan across the country to symbolic places representing each city on the list, using it as a sort of stage for people to pitch their newest start-up ideas. Along the way, the contestants are helped and guided by mentors and the juries, made up of business owners, journalists and investors, who have had a vast experience in the field. At the end of the day, the winner is announced and a networking cocktail party is organized. This is a way for Sowefund to promote this French creative energy and for the participants to present their plans in front of important business owners and investors. With 900 start-up companies, Lyon represents 9% of these businesses in France, making it the 2nd start-up hub at a national level. This year, the Fundtruck was seen at Tubà, the INSA campus, Maison de la Confluence and the Rhône Pool, where they presented the winner. Connecty.io, a platform where you can share or sell knowledge to those who need it. Congratulations to Dracula Technologies for their qualification in the finals! The Fundtruck still has two stops to go: Nantes on the 18th of September and Paris from the 20th to the 25th (for which voting is still open until the 14th!). The winner of each city will then participate in a final, national contest in Paris, on November 15th. If you are looking for anymore information or would simply like to participate, you can check out their website which, for now, is written in French.